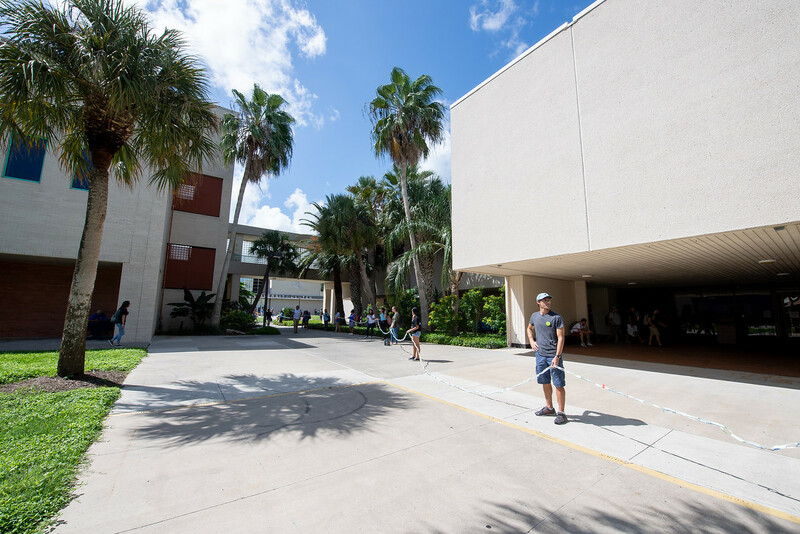 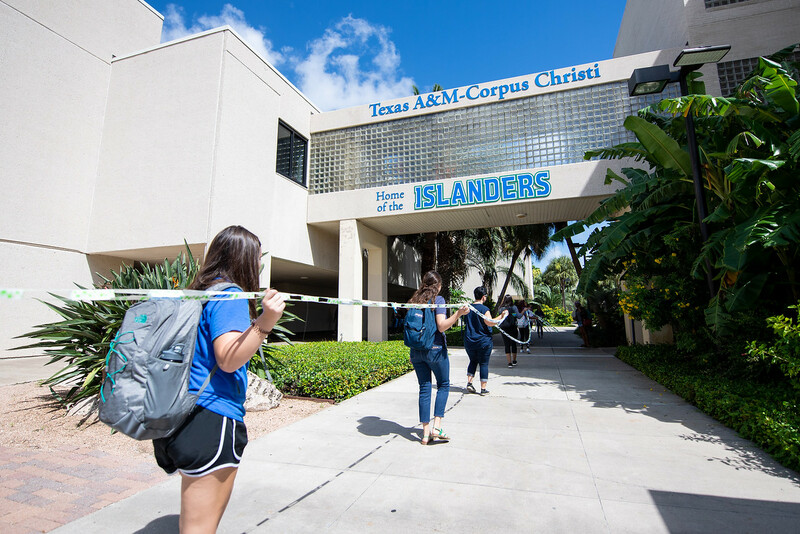 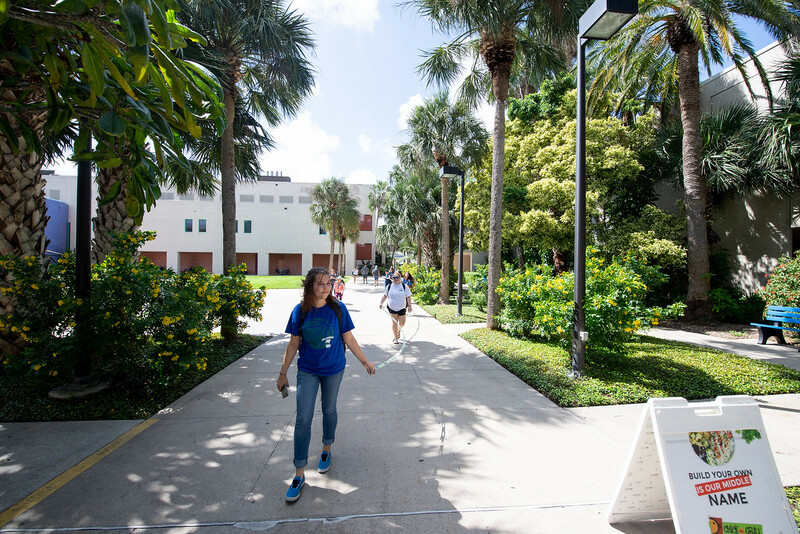 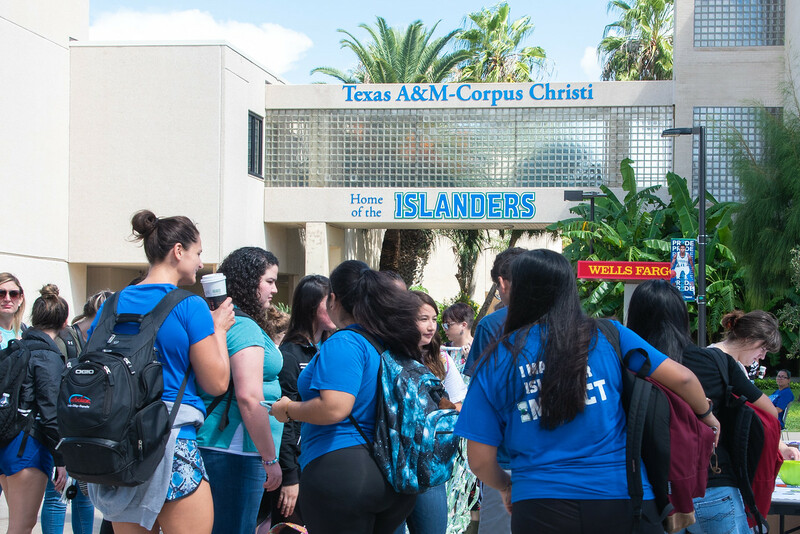 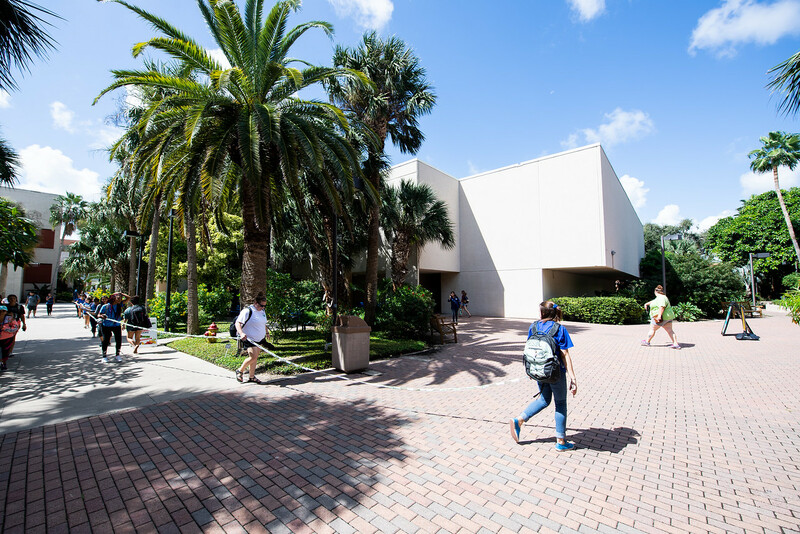 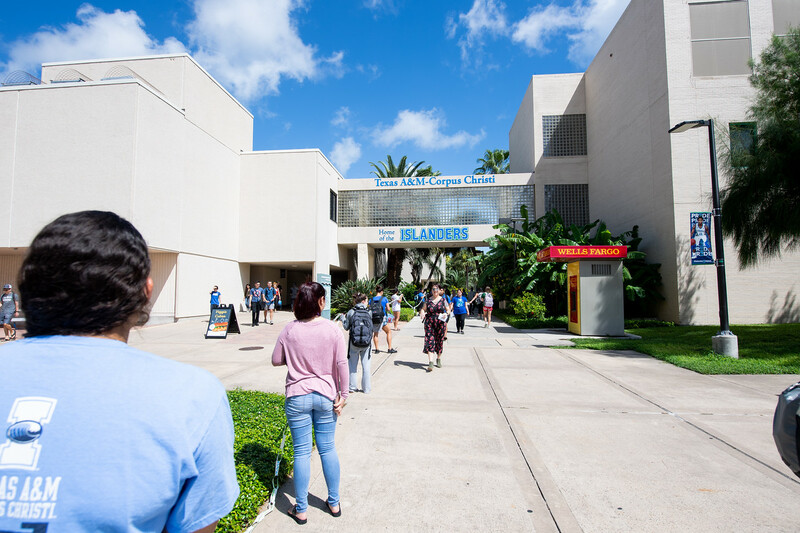 CORPUS CHRISTI, Texas – College can be a difficult time for students – one where they are often away from home for the first time and it’s easy to feel alone or isolated. 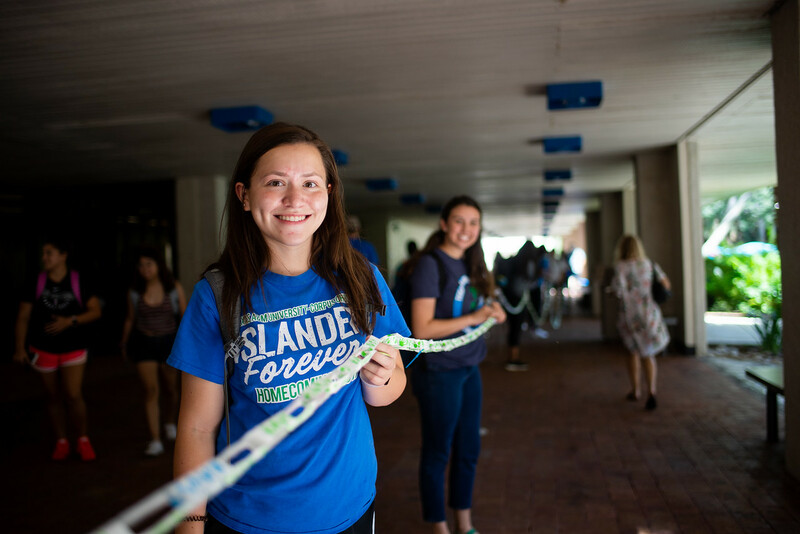 But no Islander is alone. 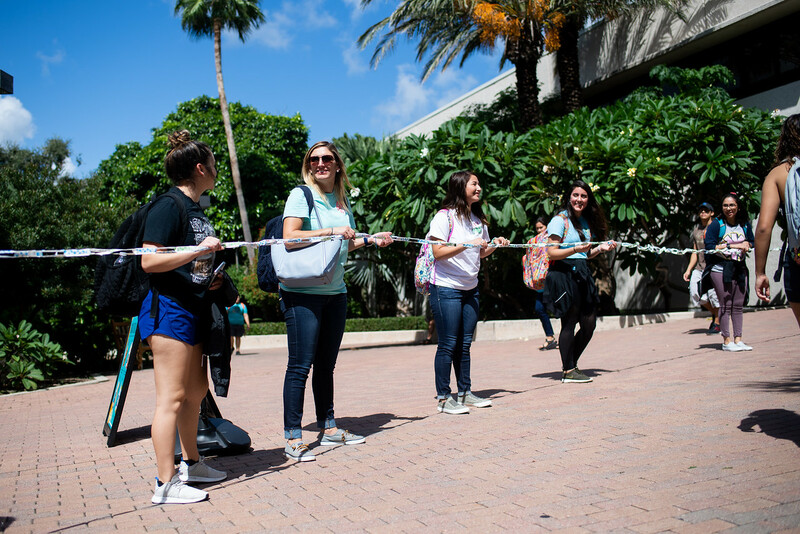 We’re all linked together in an unbreakable bond. 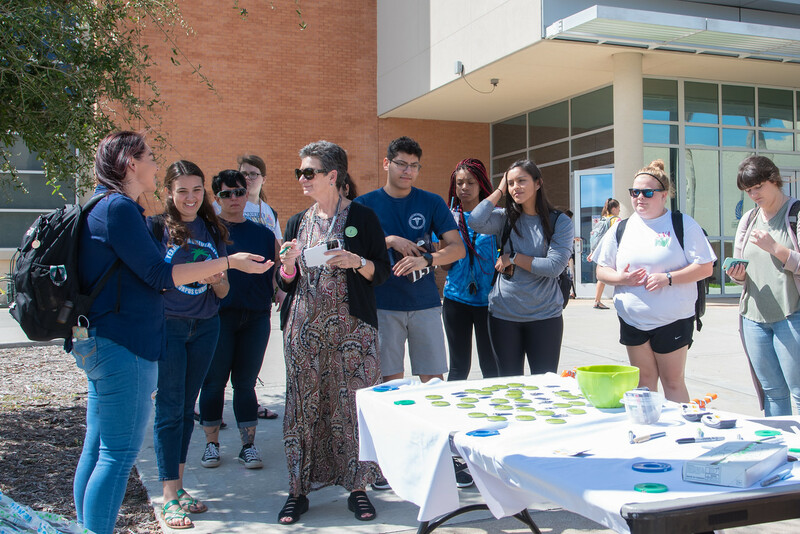 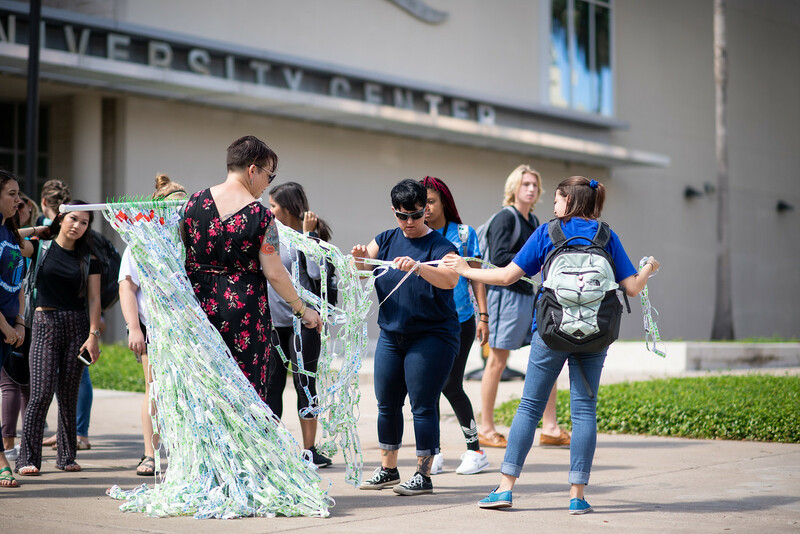 This feeling is what Dr. Pamela Greene, assistant professor of nursing, and Julia LeClair, a graduate assistant and graduate student in the counseling program, hoped to express with Links Across Campus. 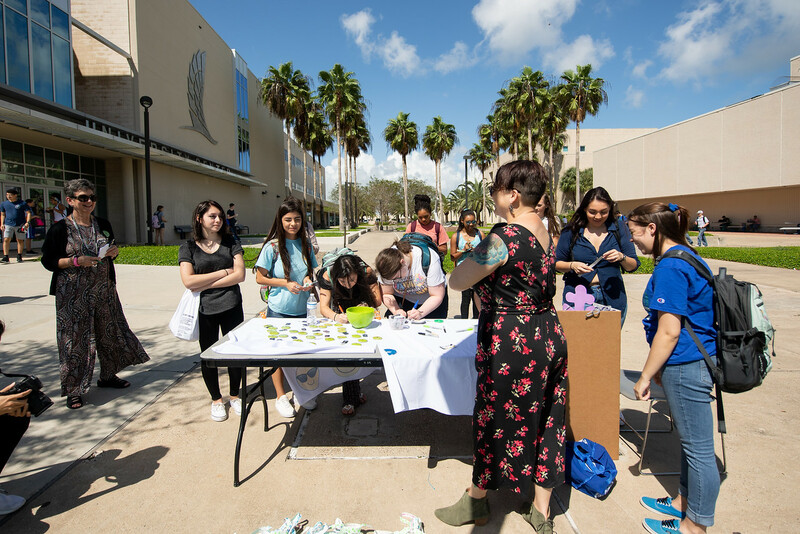 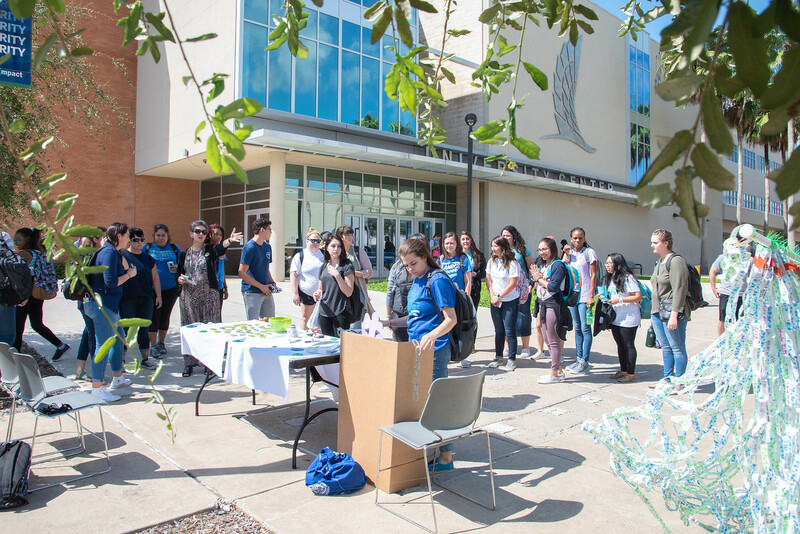 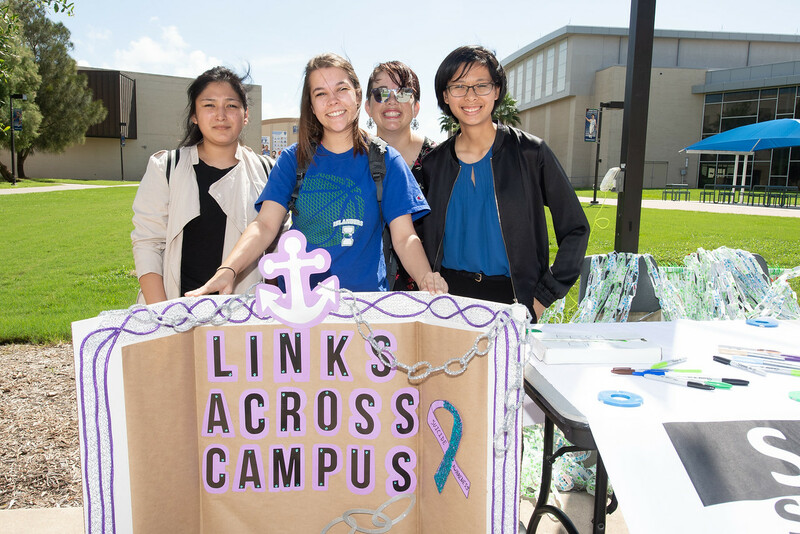 The event was initially created by the University Counseling Center then integrated into the Suicide Awareness Focuses on Everyone (SAFE) program. 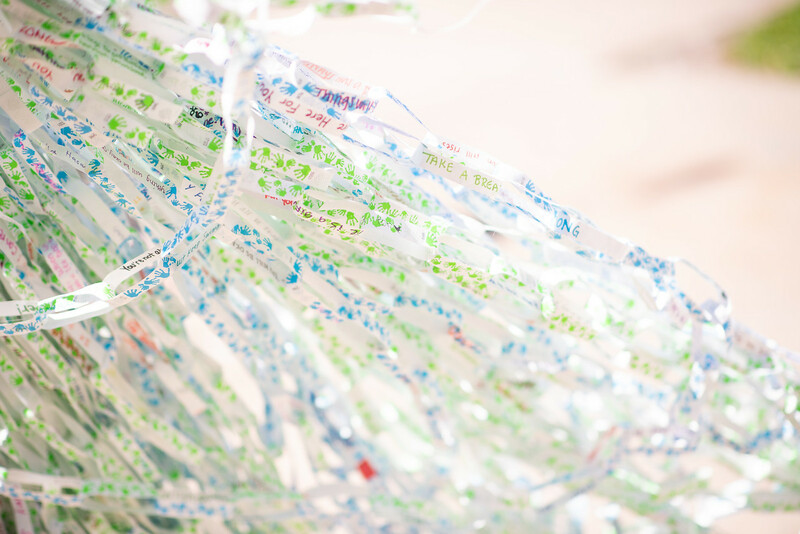 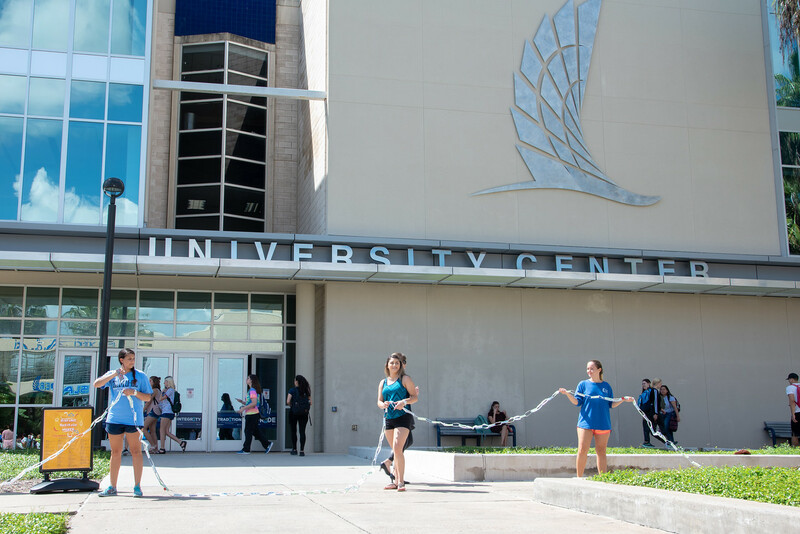 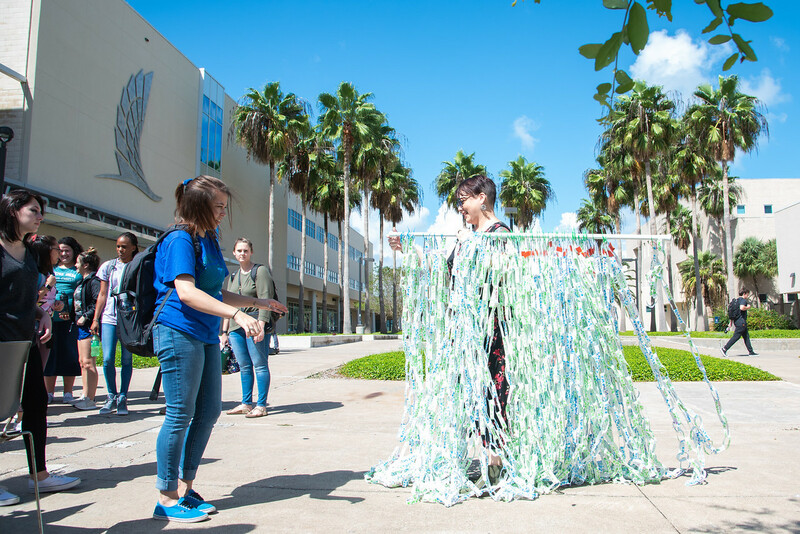 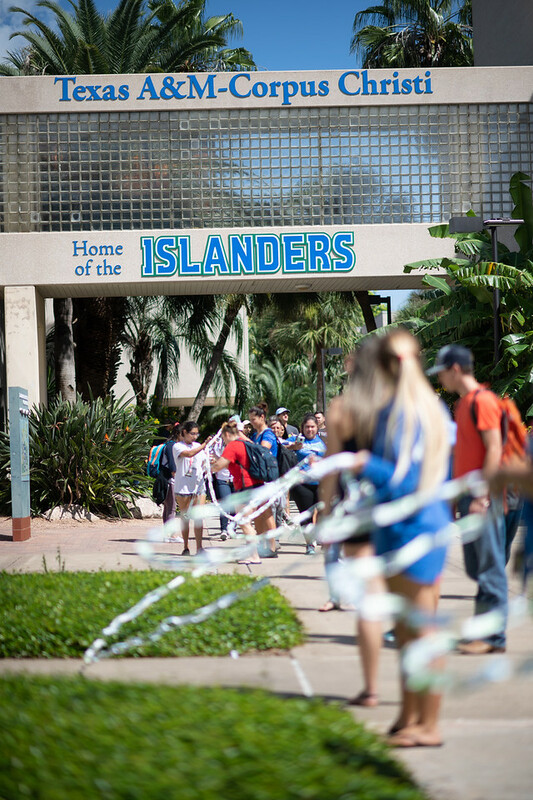 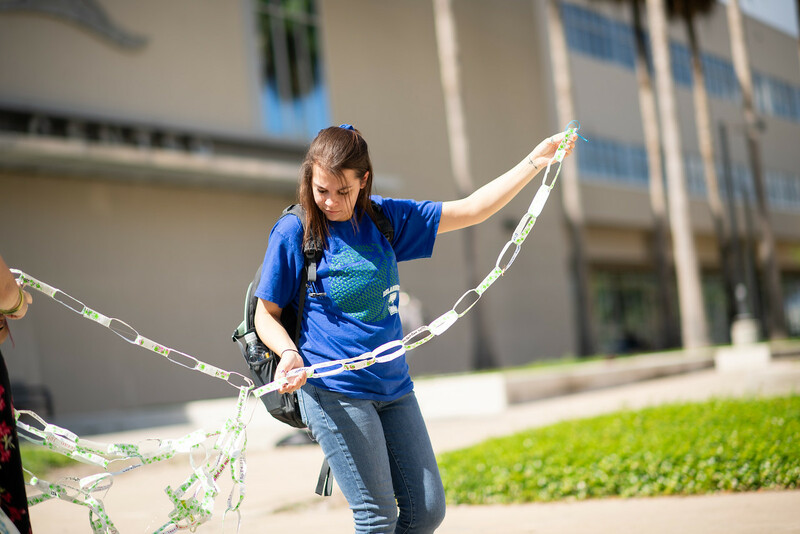 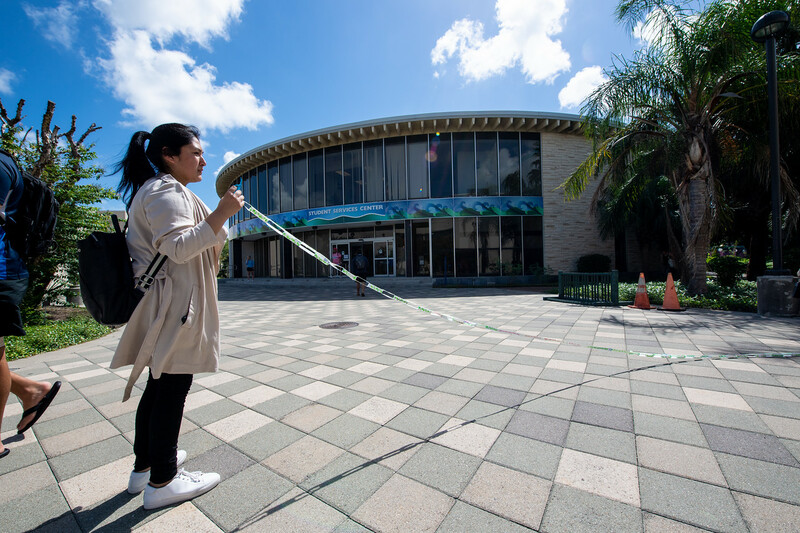 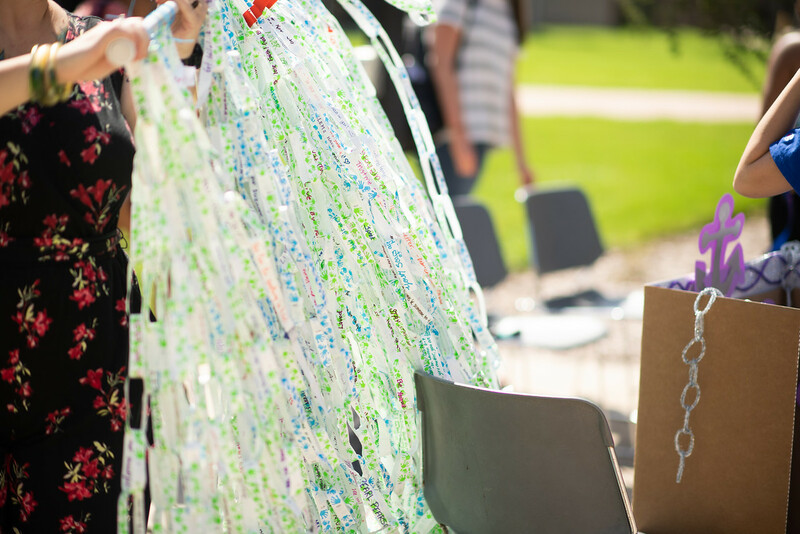 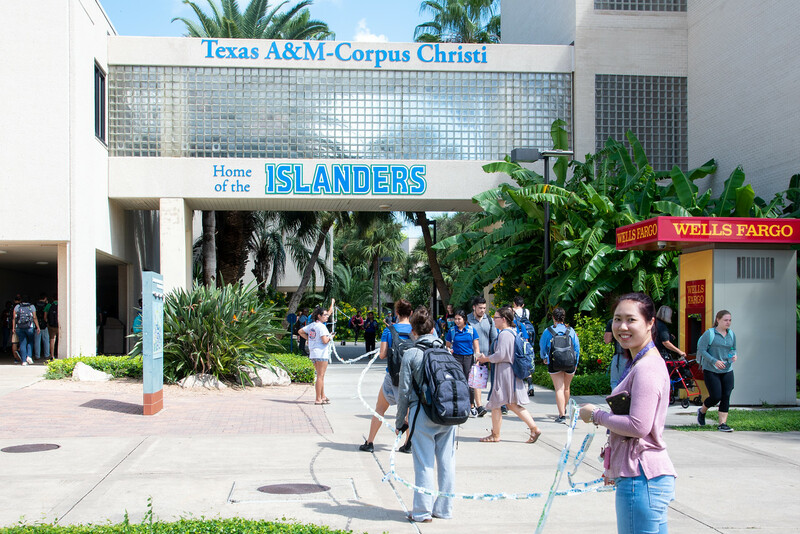 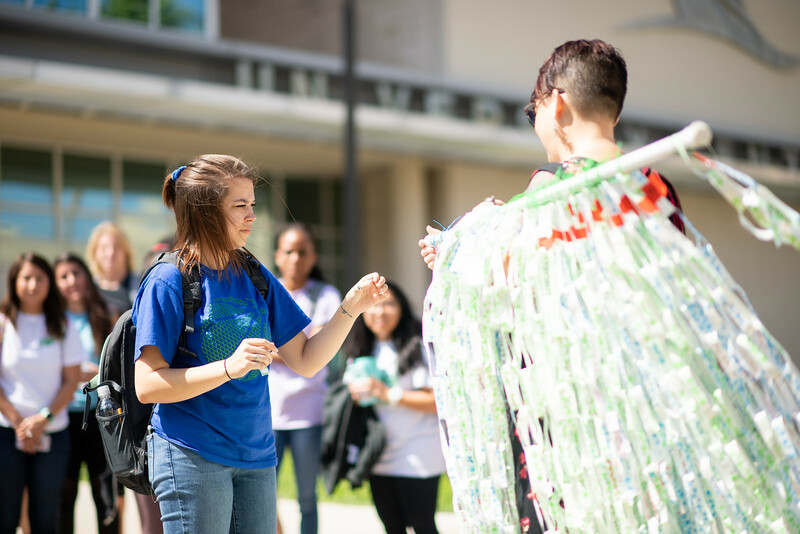 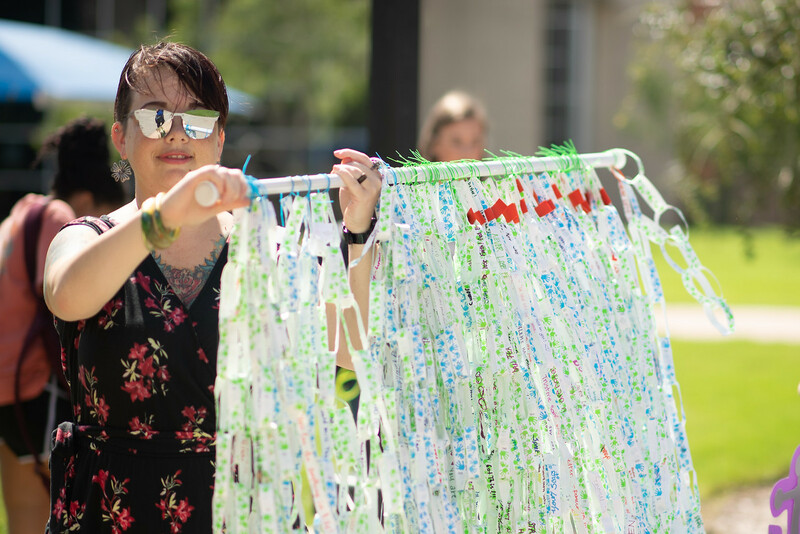 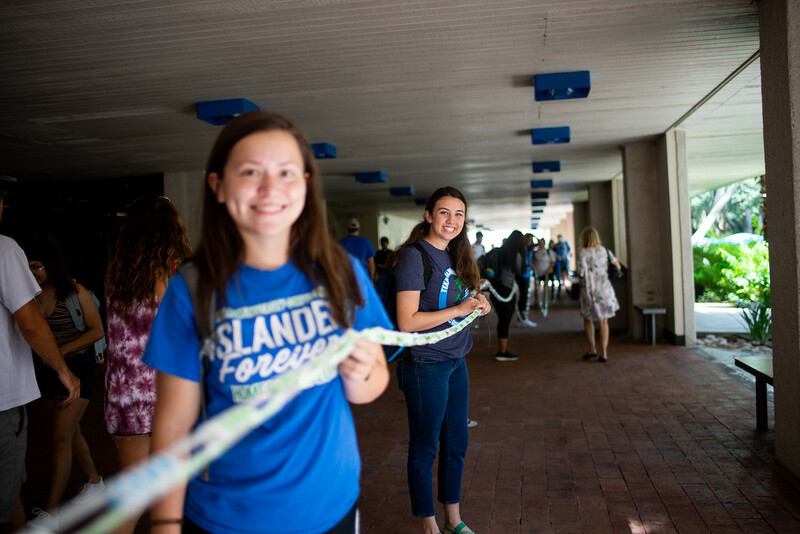 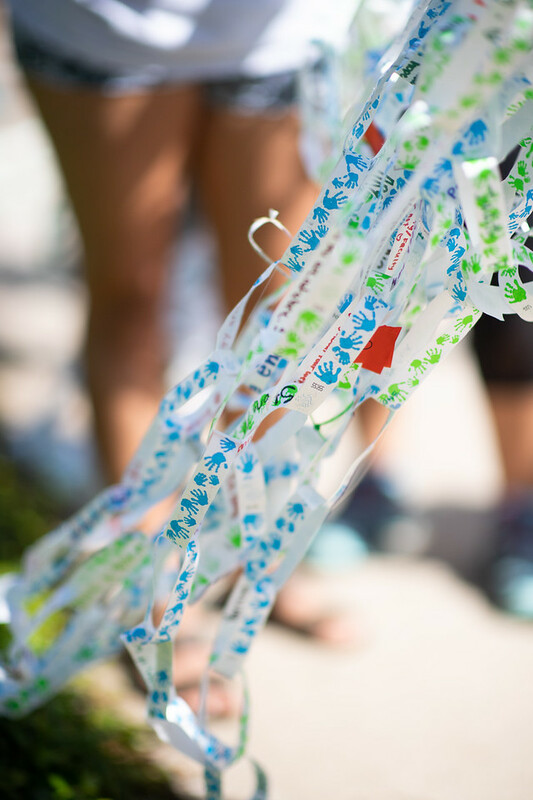 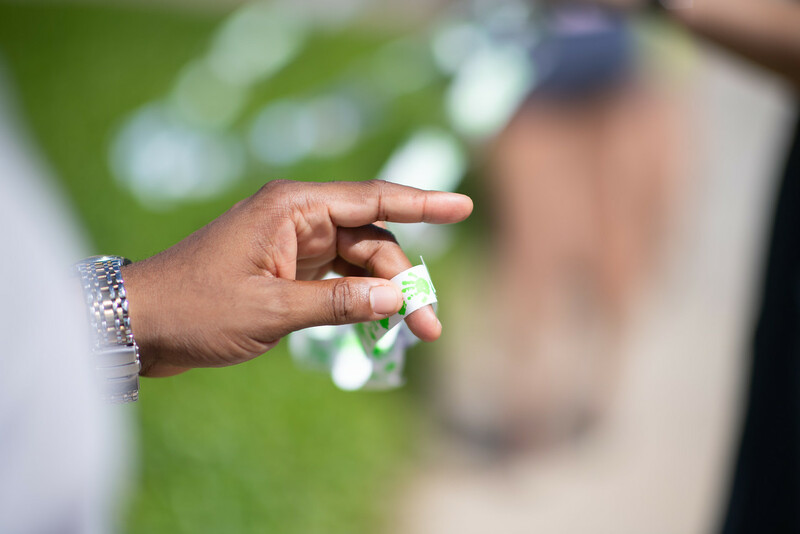 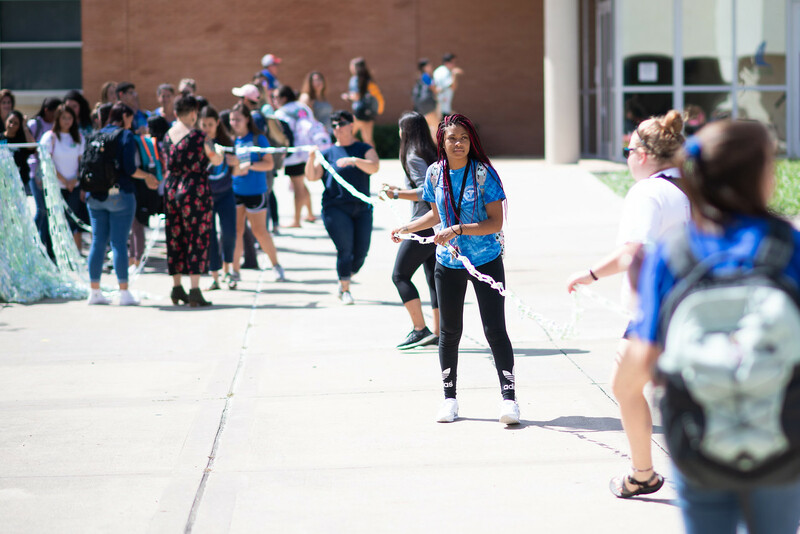 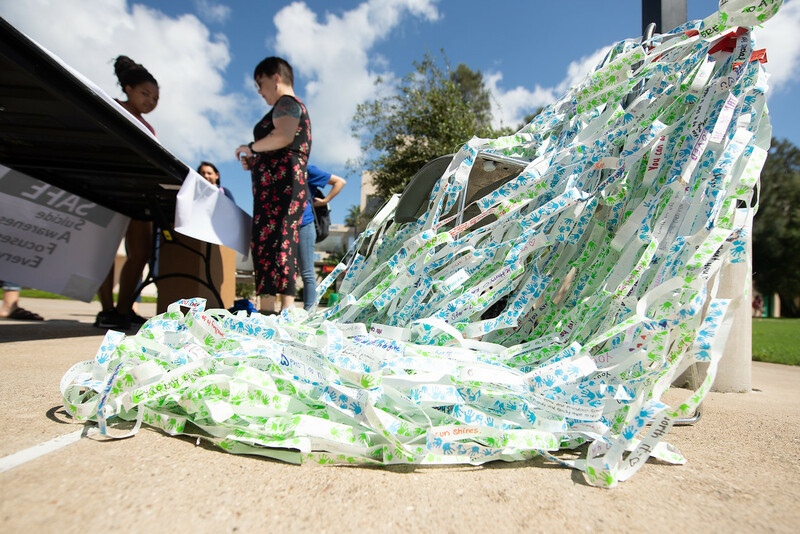 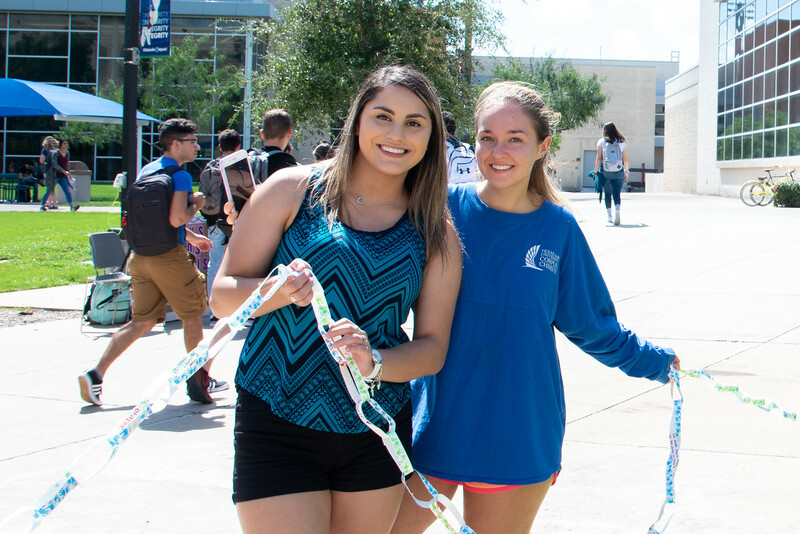 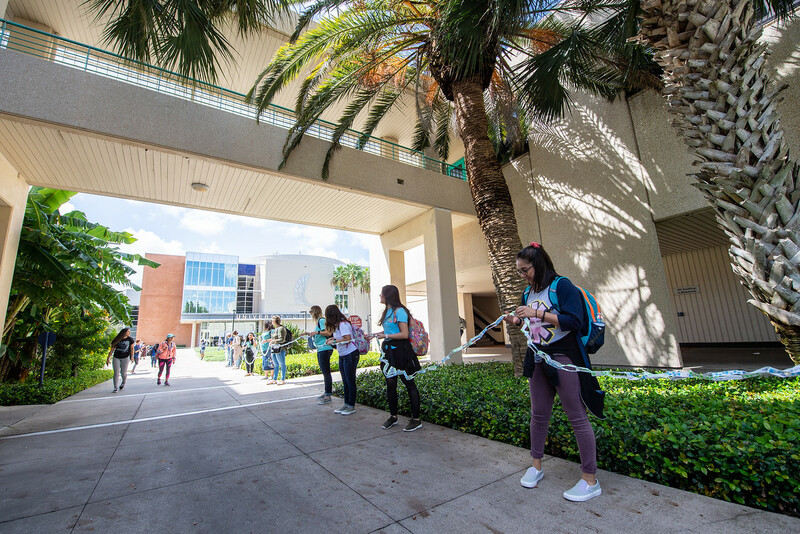 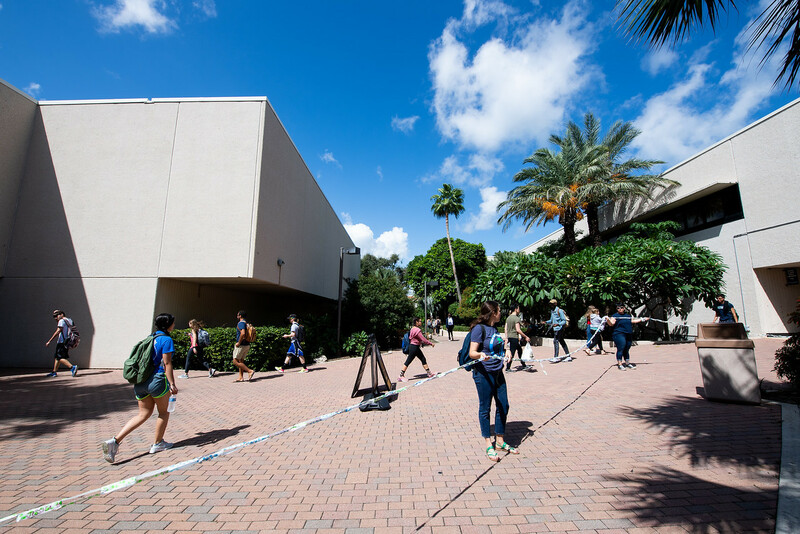 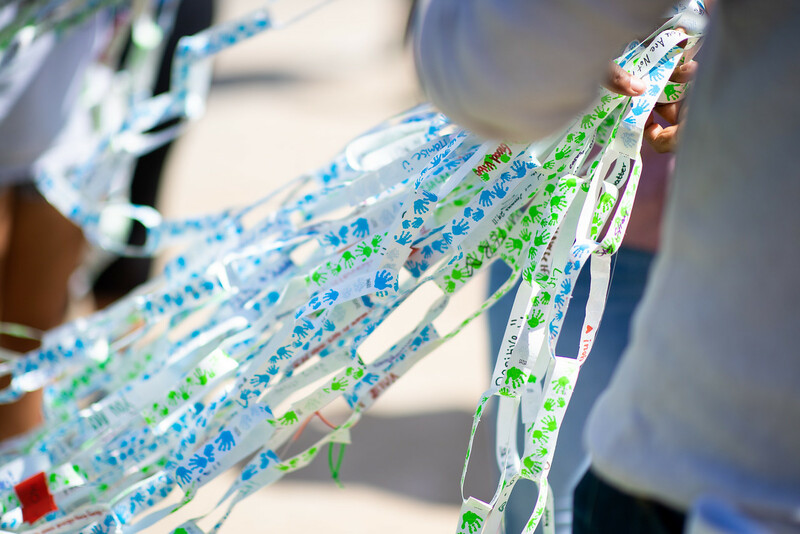 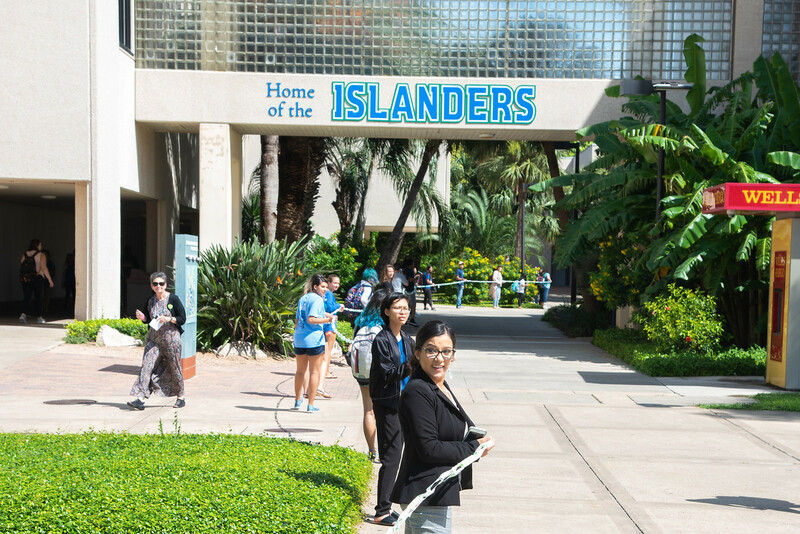 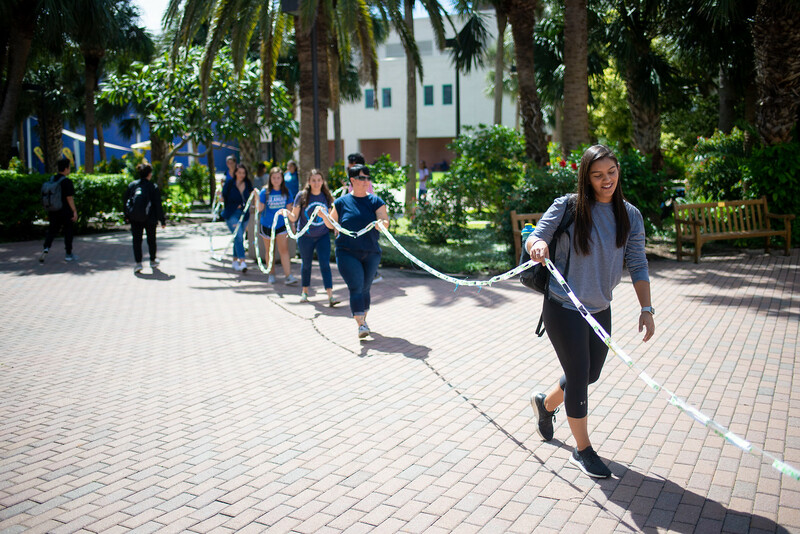 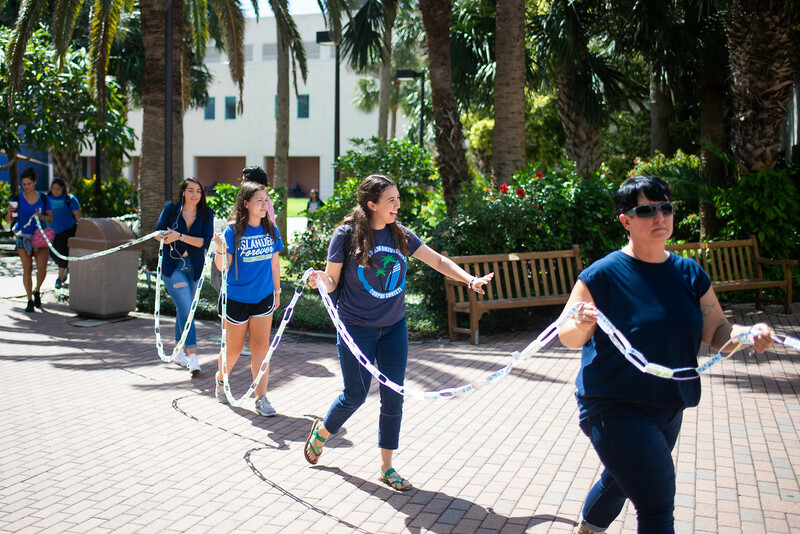 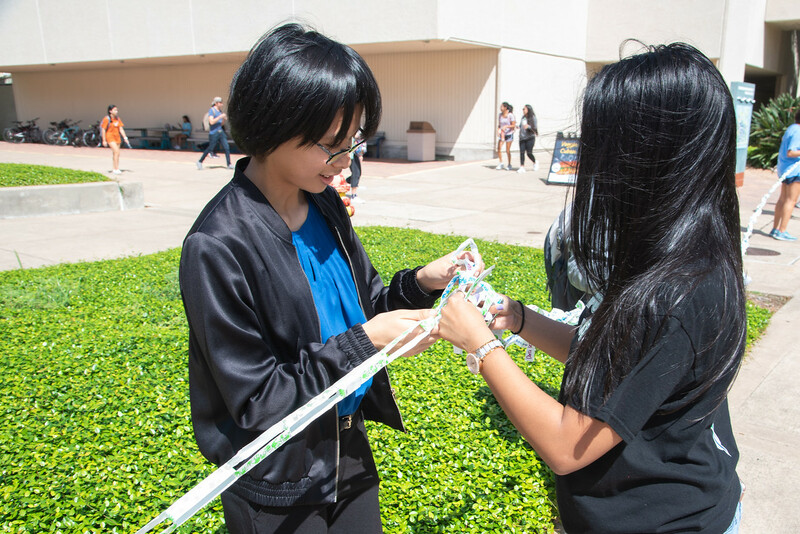 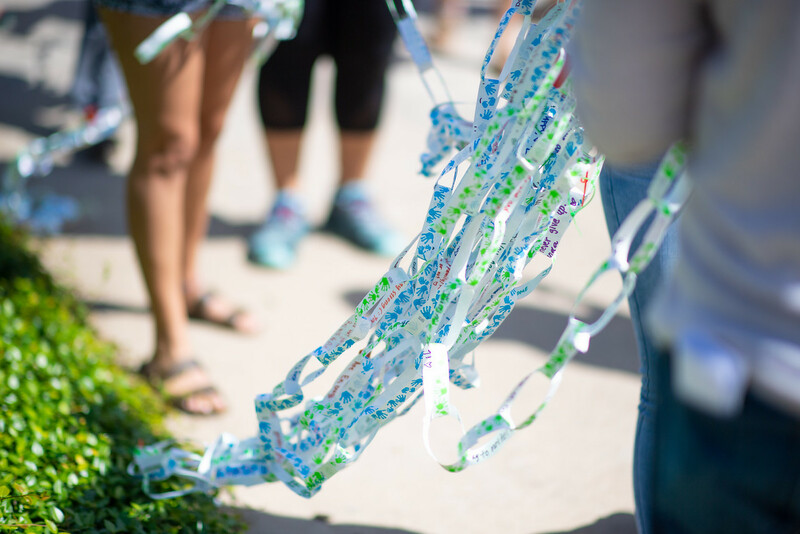 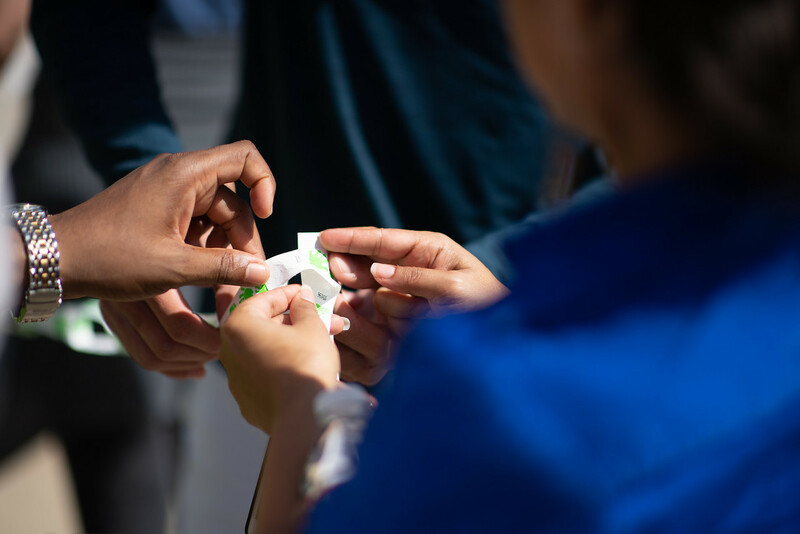 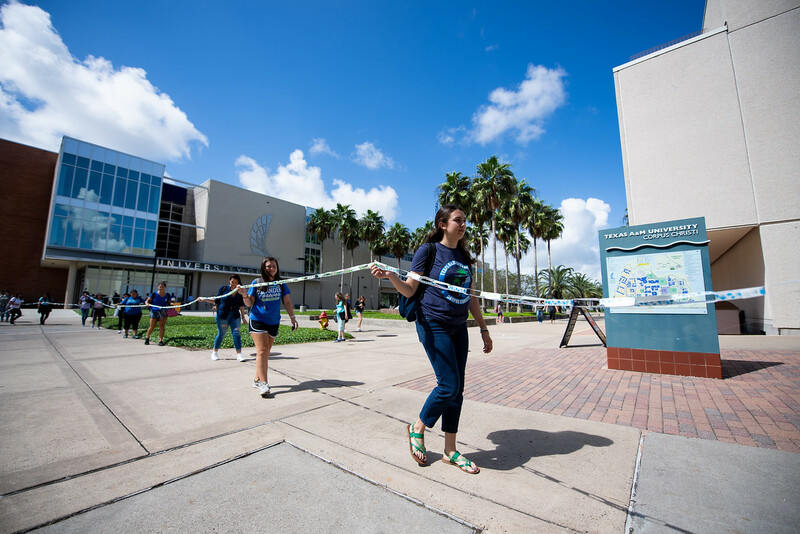 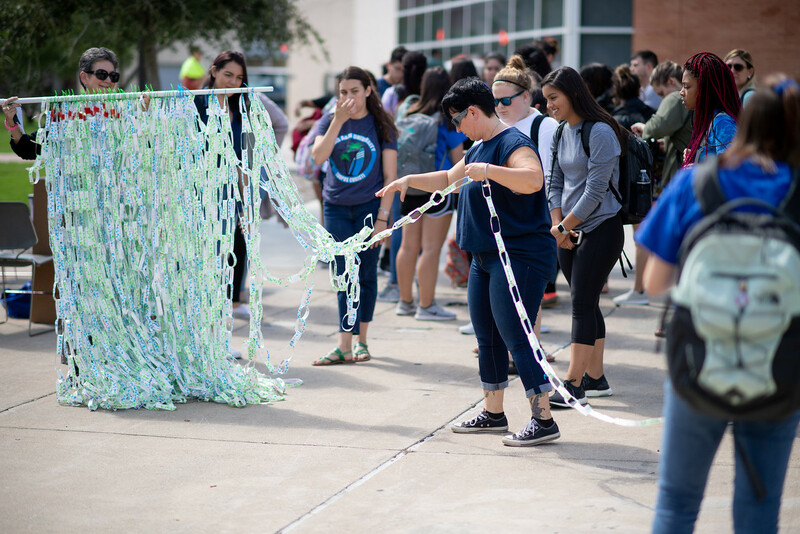 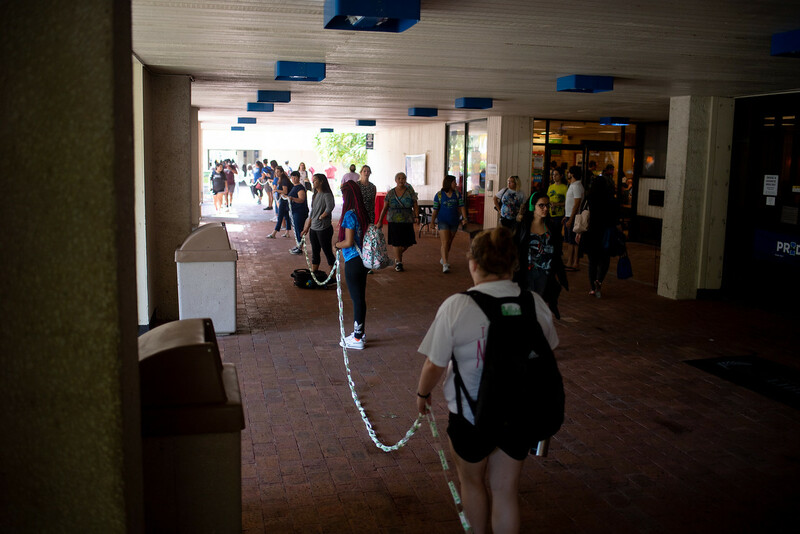 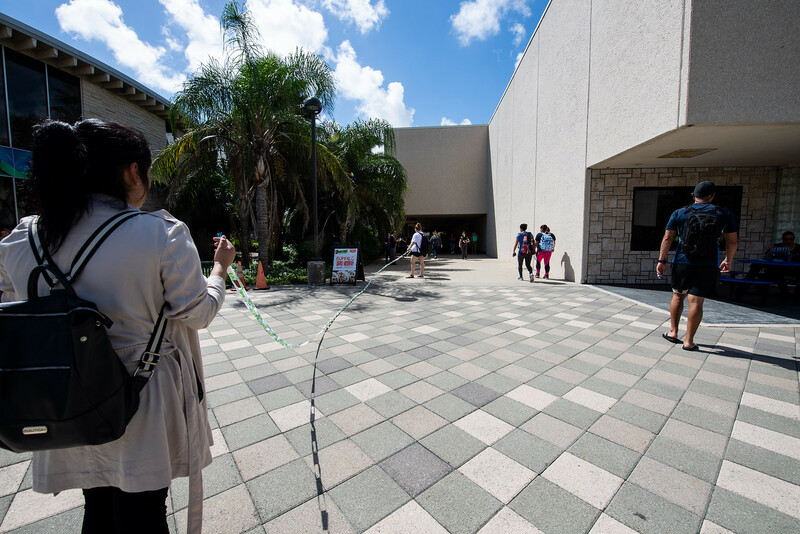 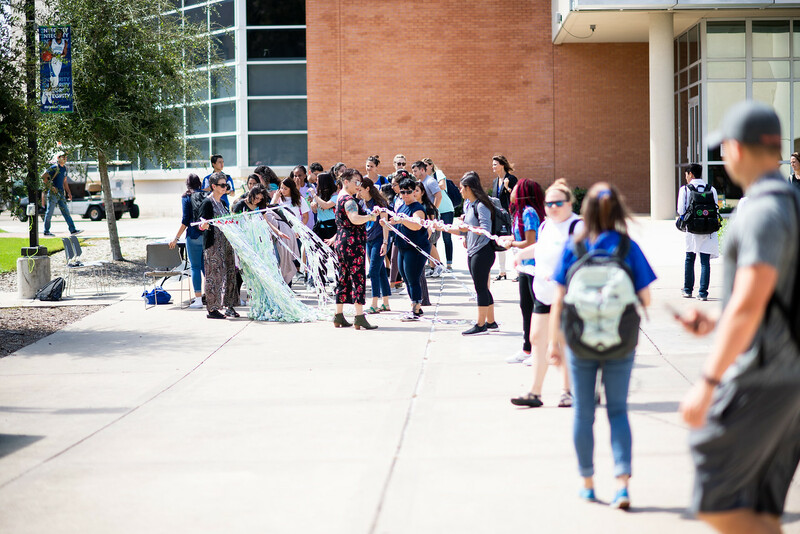 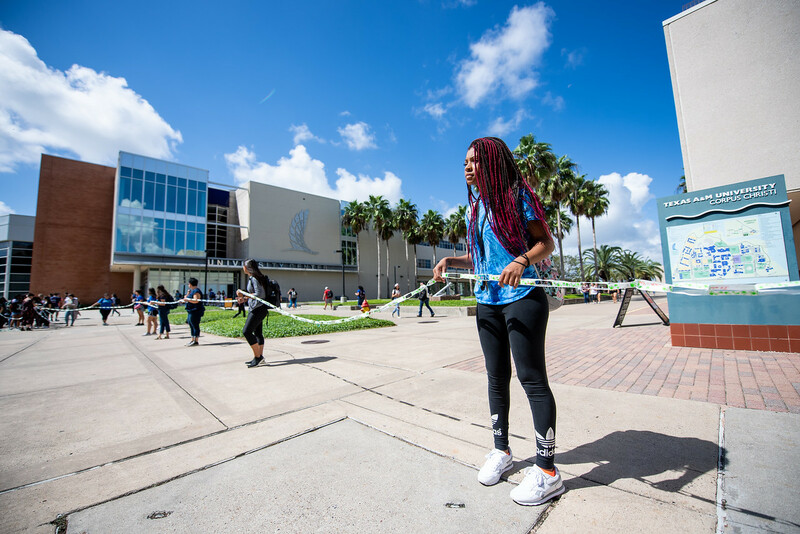 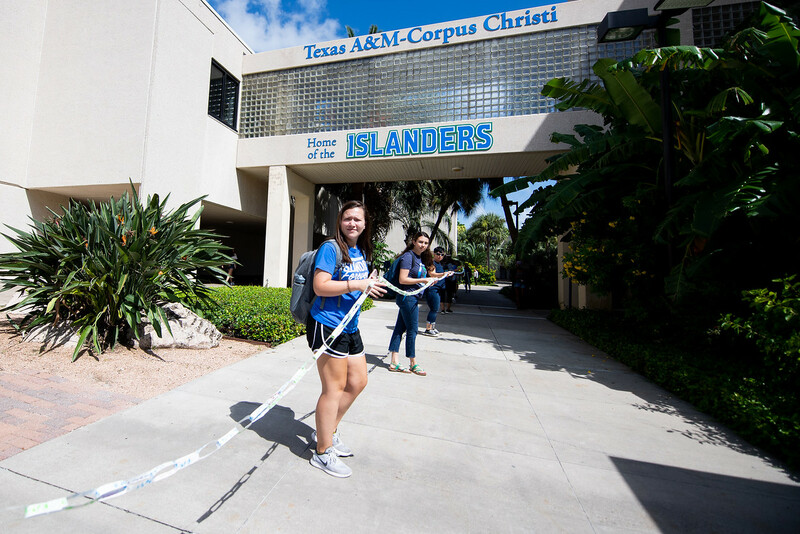 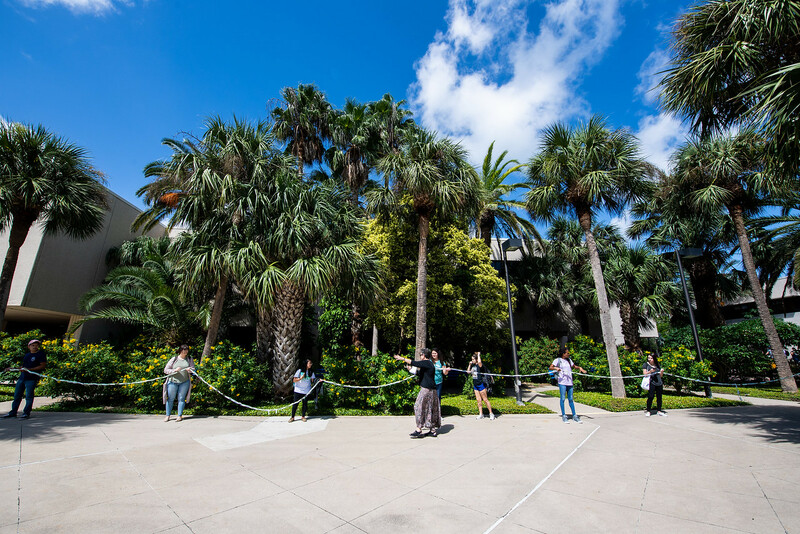 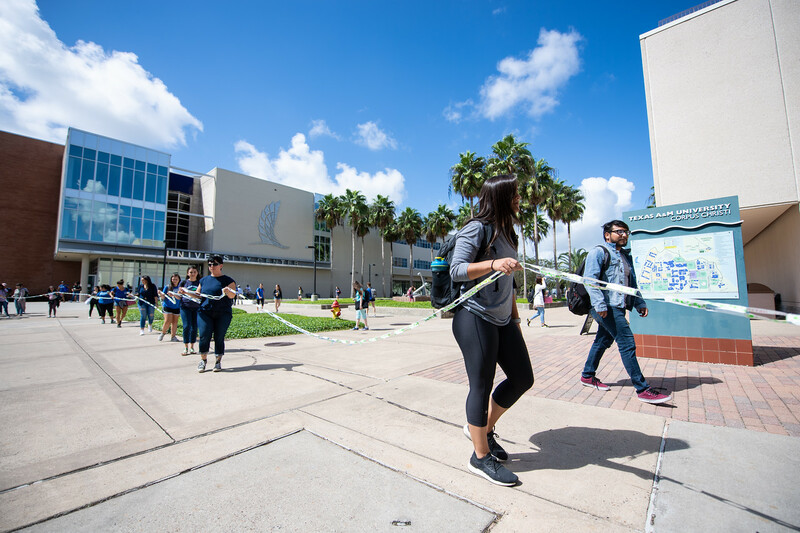 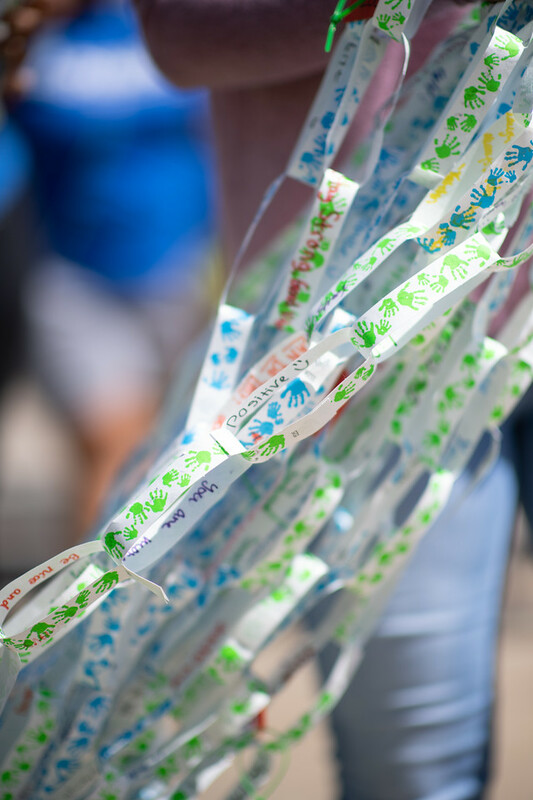 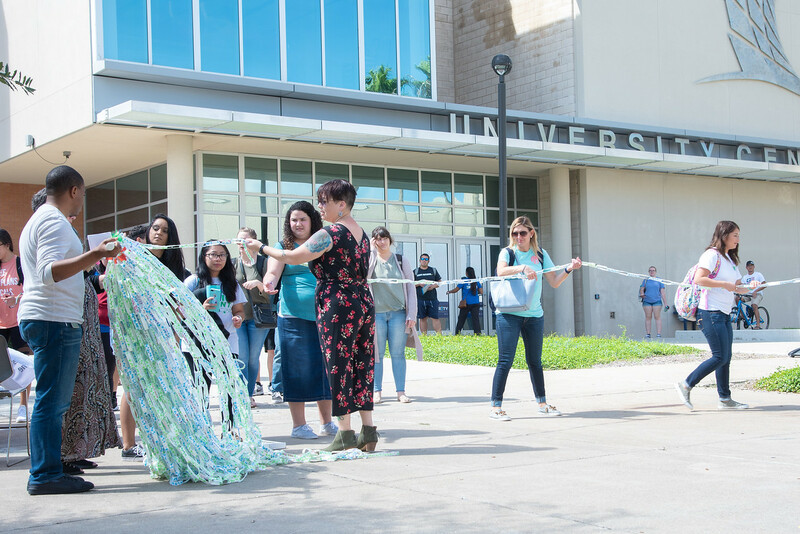 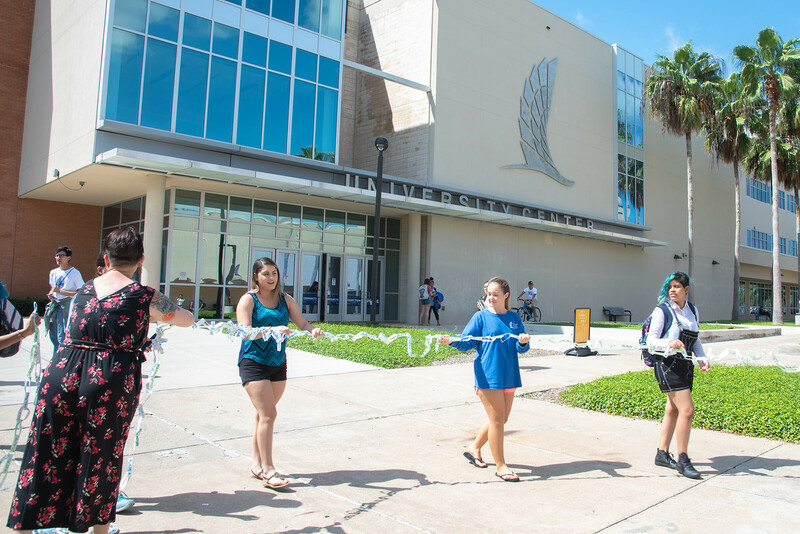 In a moving demonstration of how we’re all connected, Islanders gathered to spread a paper chain across campus. 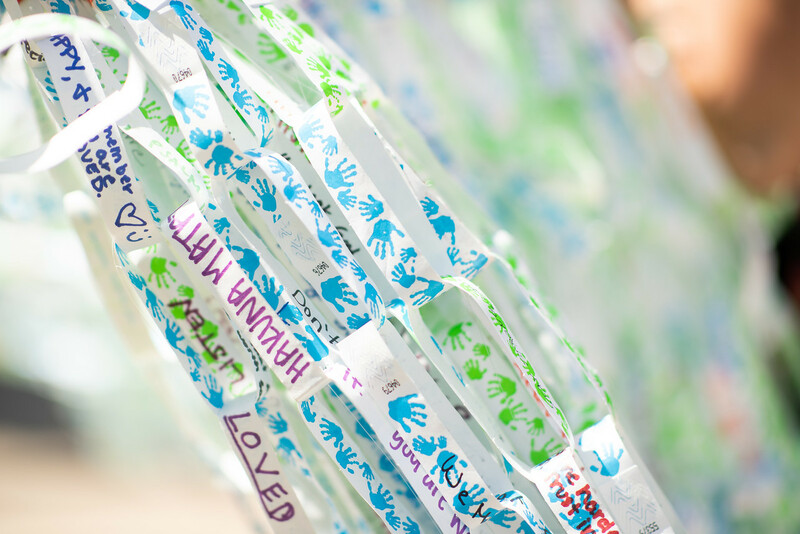 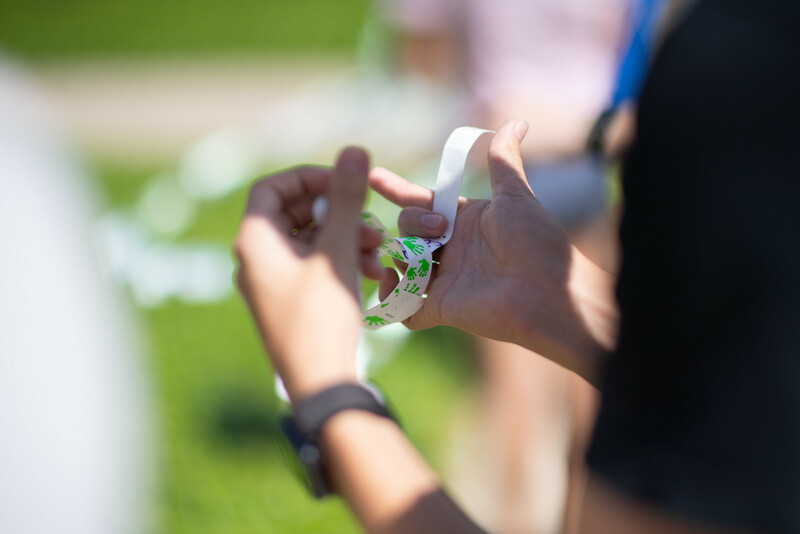 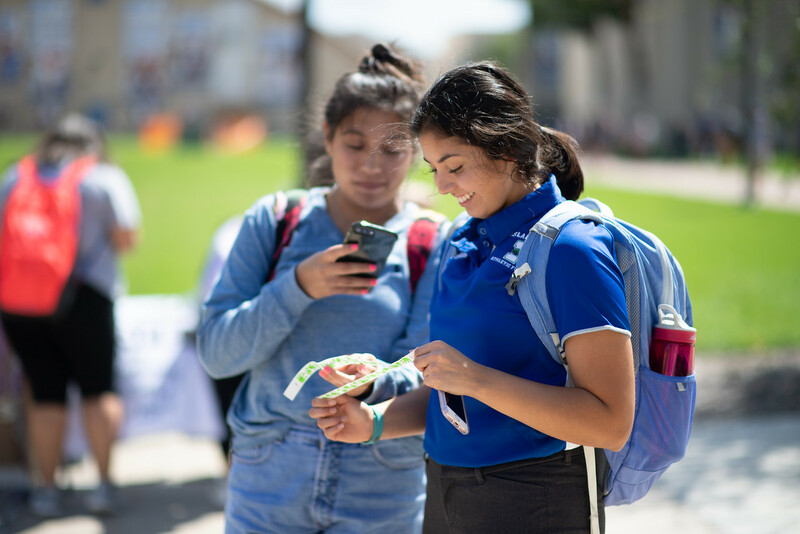 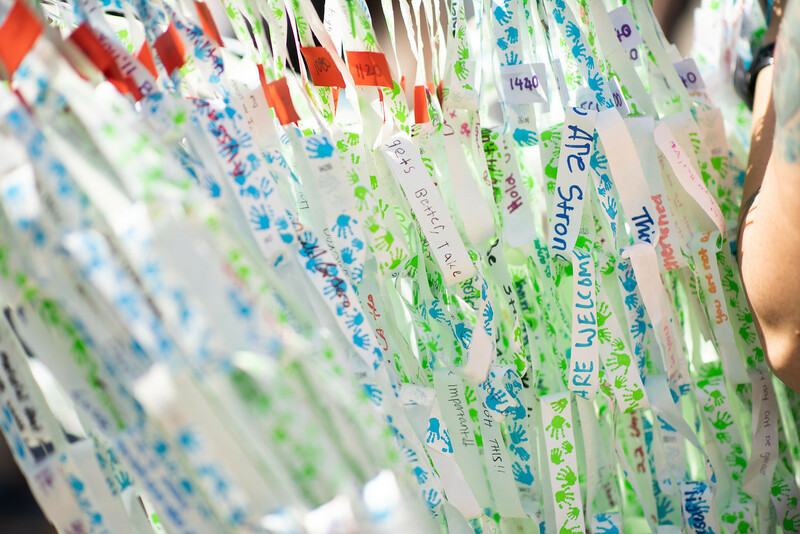 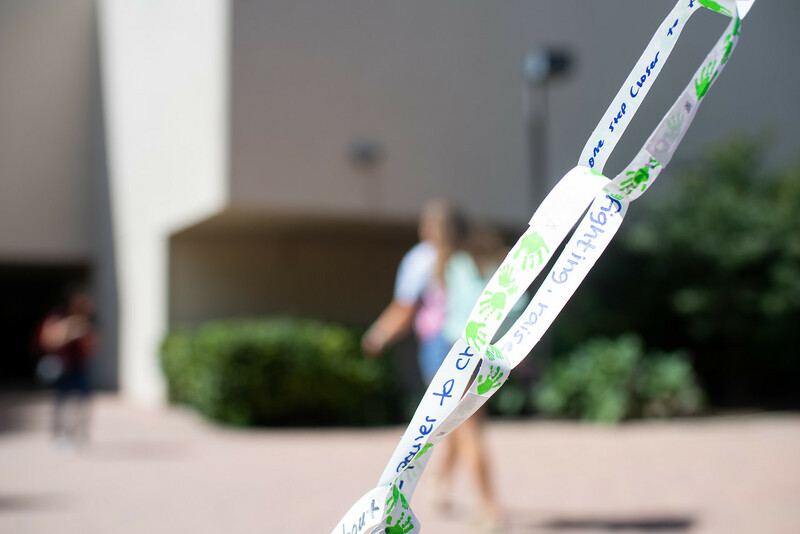 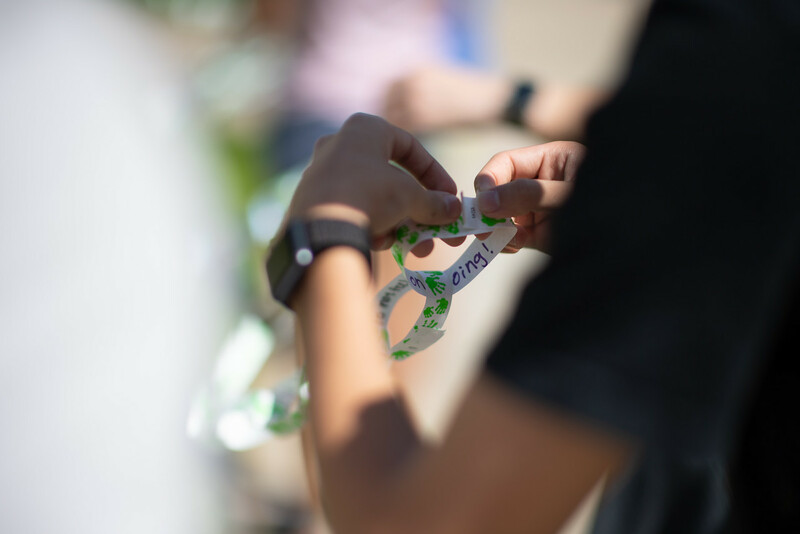 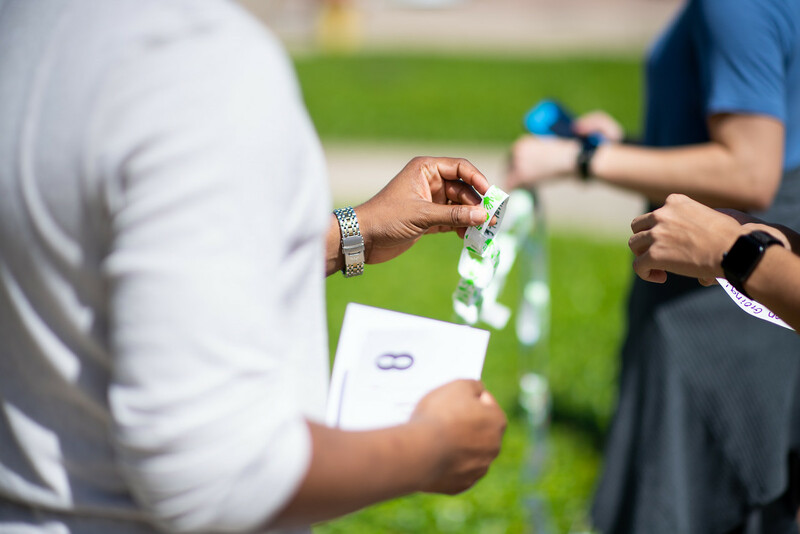 Faculty, staff, and students christened each link with words of encouragement displaying their caring for each member of the University. 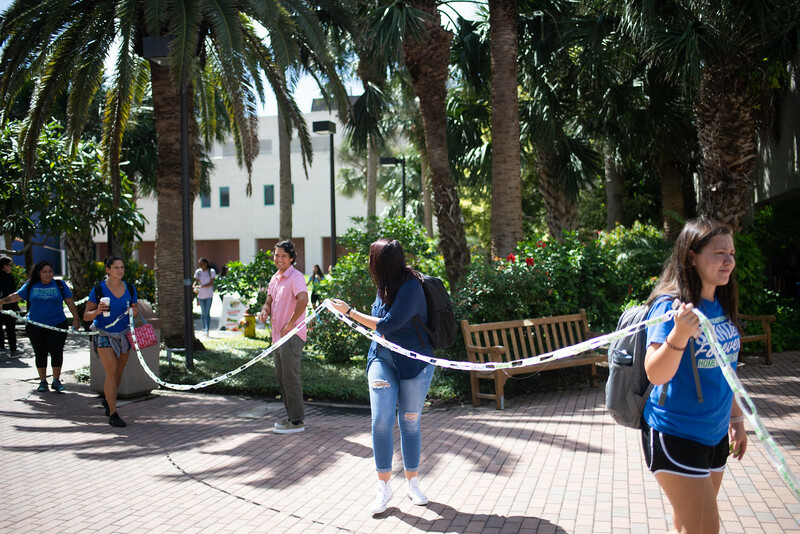 In the past, LeClair has struggled with mental health issues and thoughts of suicide. 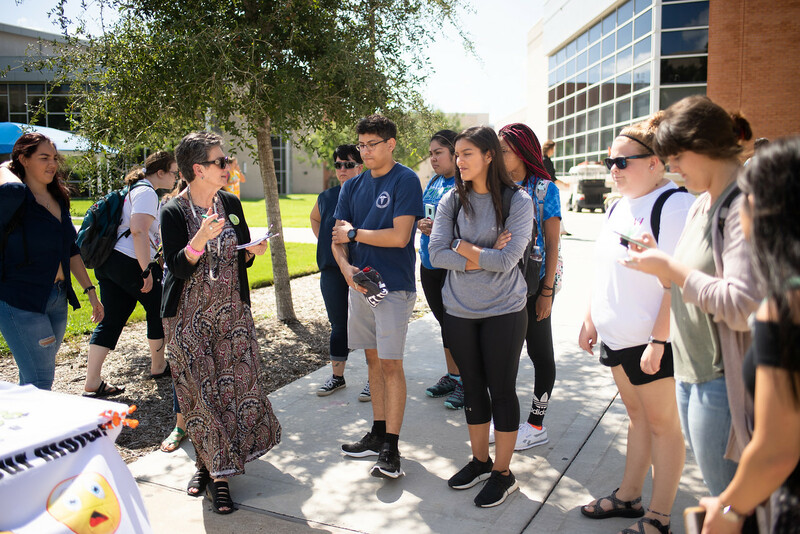 As a veteran, she has a different life experience when compared to “traditional” students. 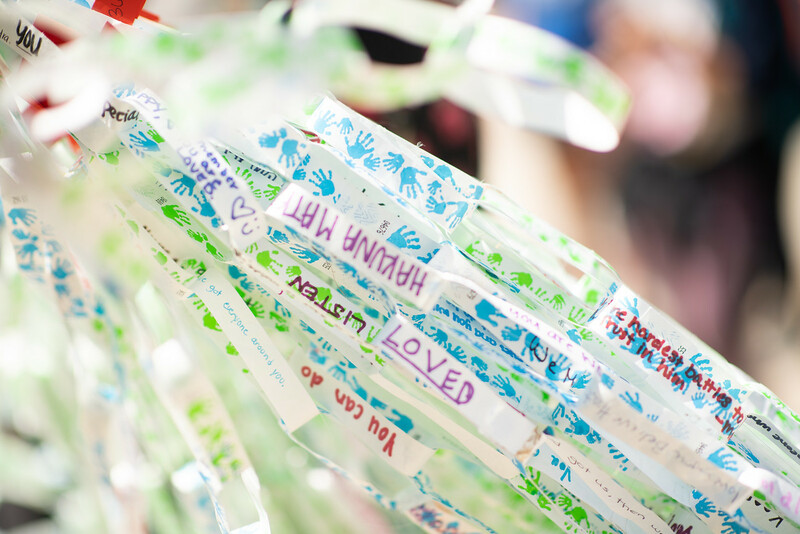 She was reluctant to reach out for help at first until she realized how much she truly needed it. 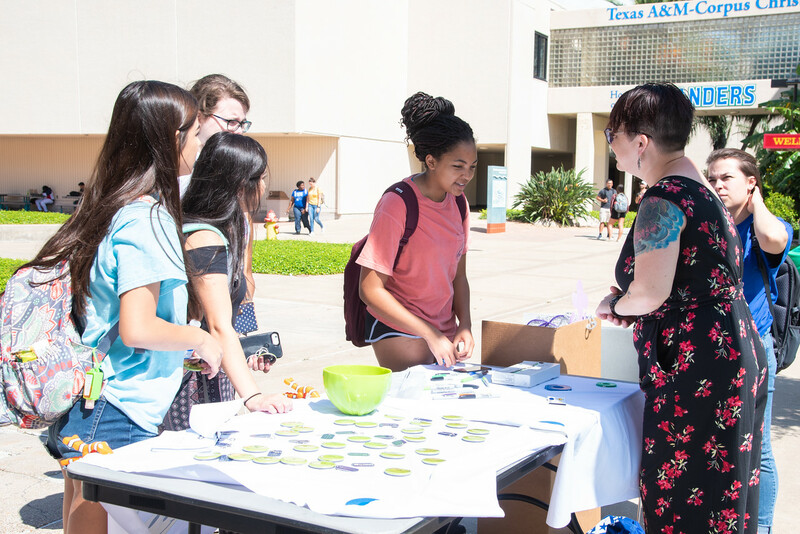 LeClair was introduced to SAFE while serving as the public relations officer for the Student Veteran Organization. 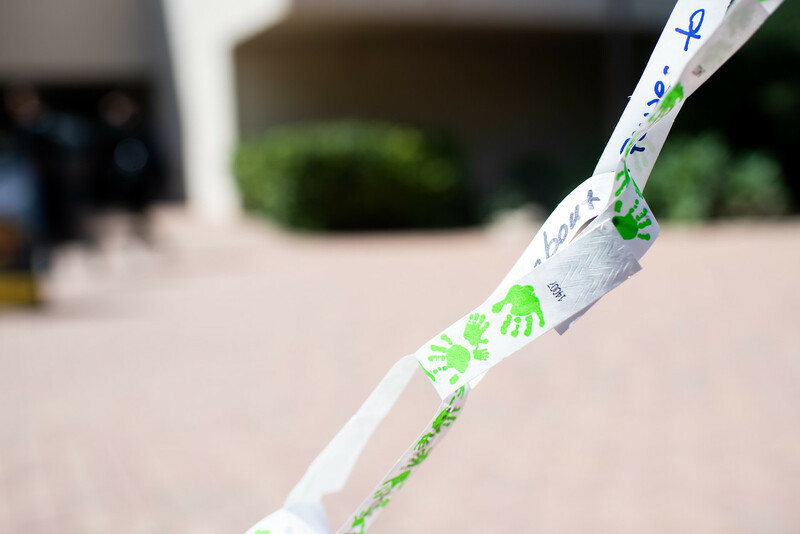 She knew she wanted to help people and, to her, SAFE was the perfect place to do that. 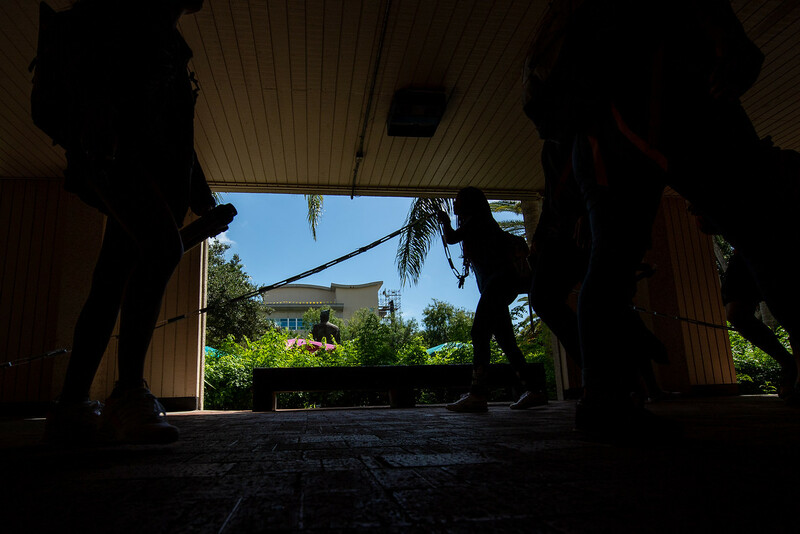 LeClair says that what’s most important is that their trainings have an impact on at least one person. 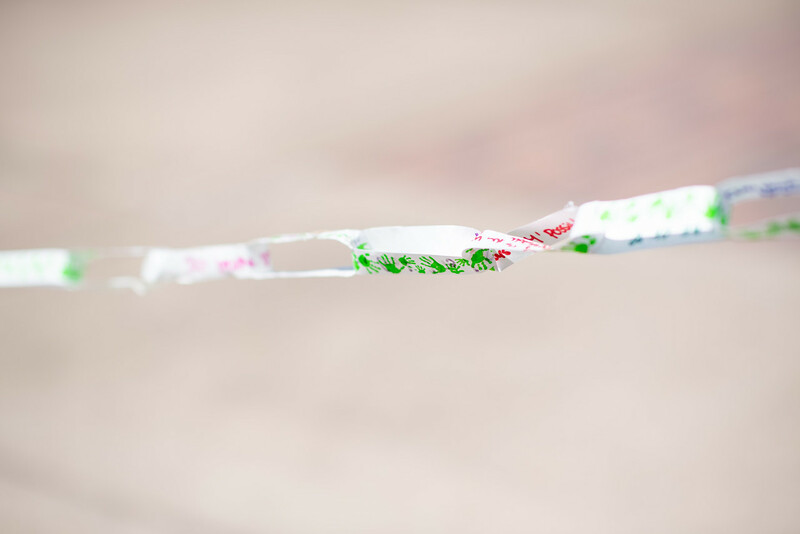 This notion is apparent in the links themselves. 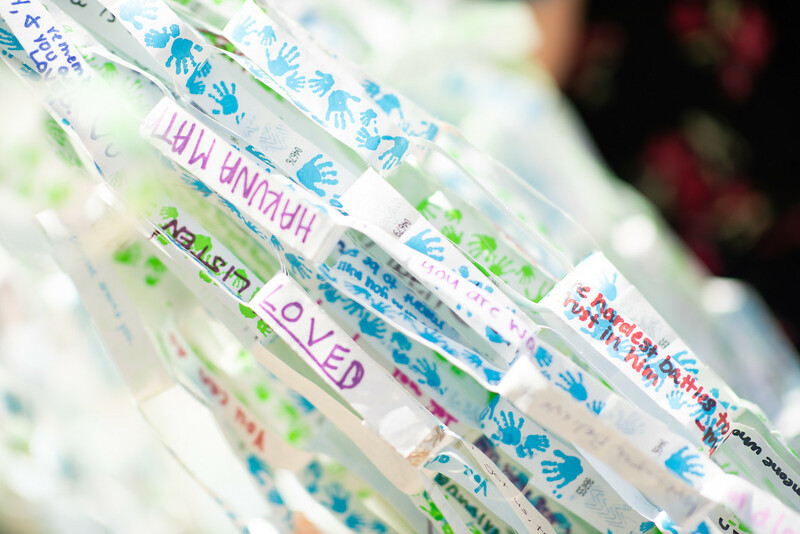 While many contain words of encouragement for those going through a troubled time, others are a written memorial to a friend or family member who was lost to suicide. 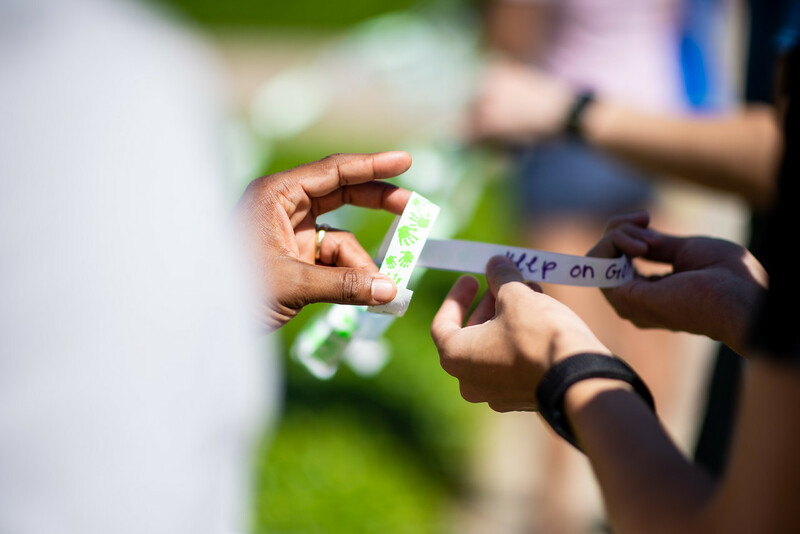 Both LeClair and Greene urge any student who feels they need help, or know someone who does, to reach out to the Counseling Center for information and guidance. 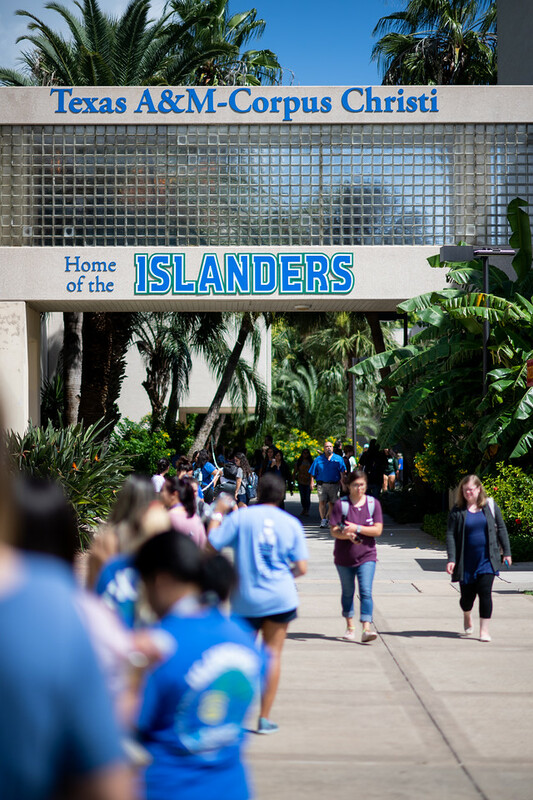 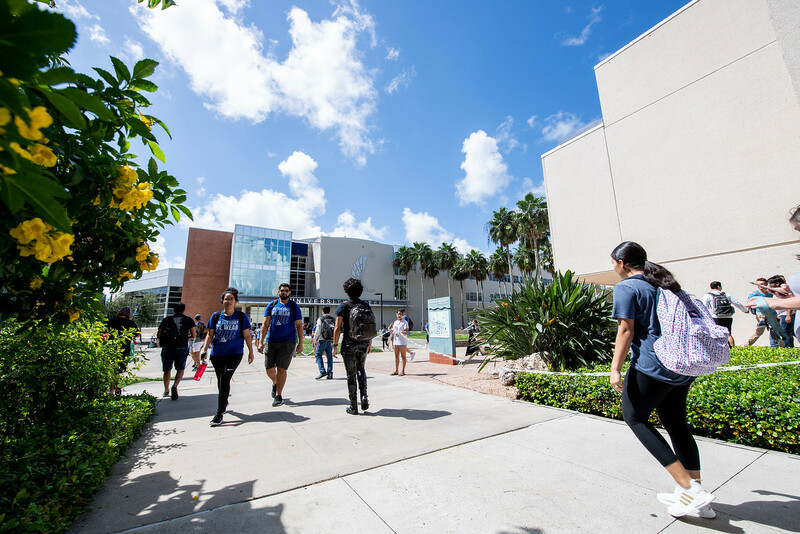 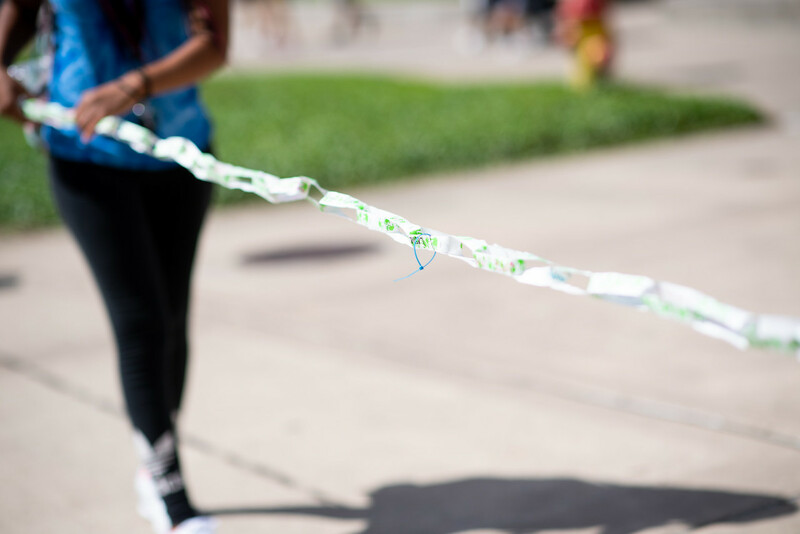 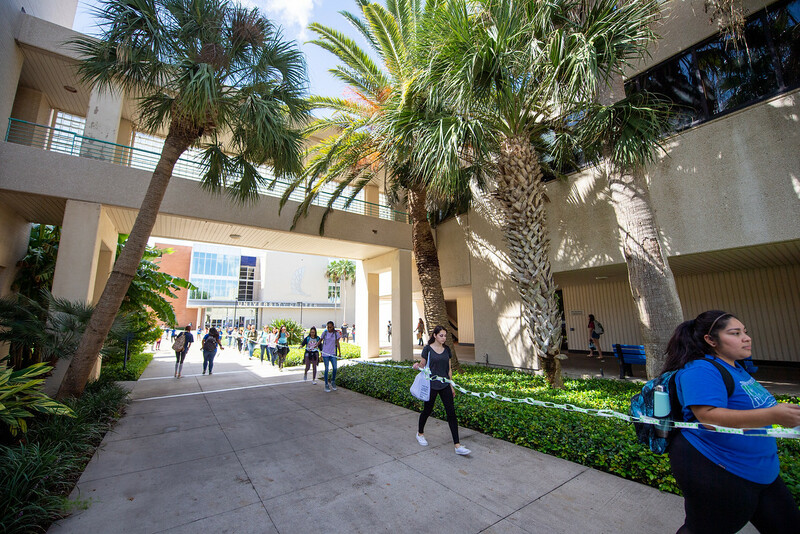 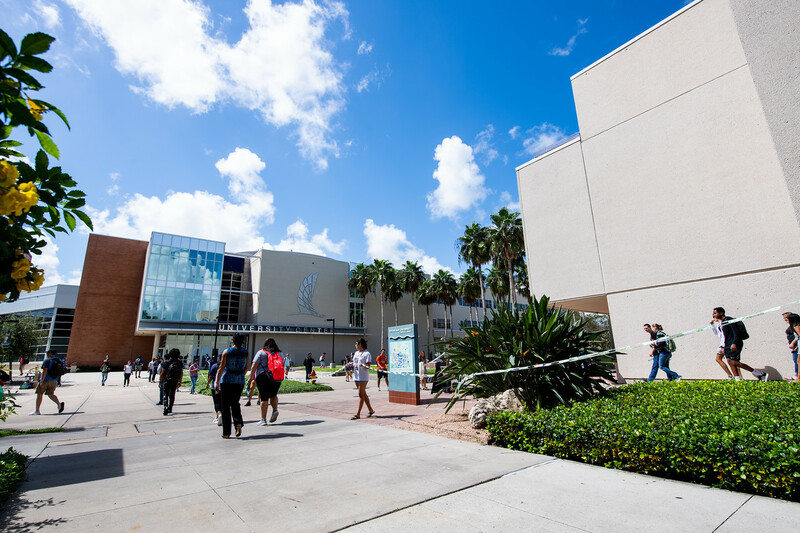 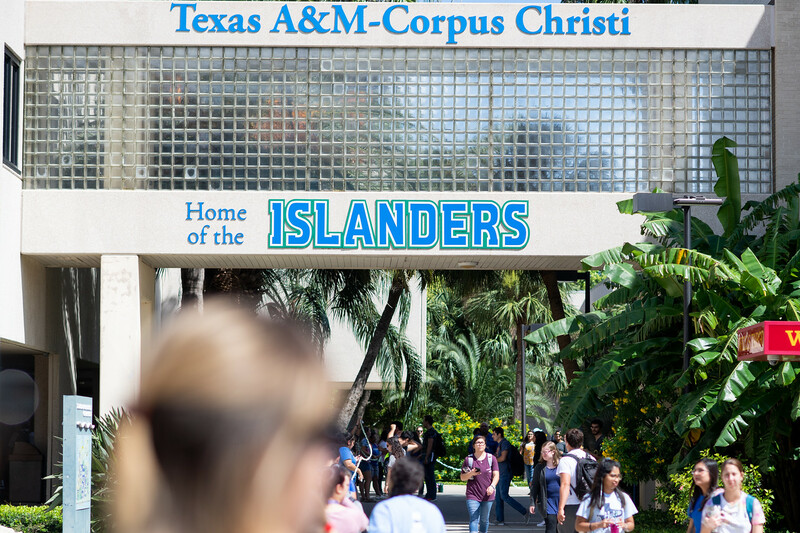 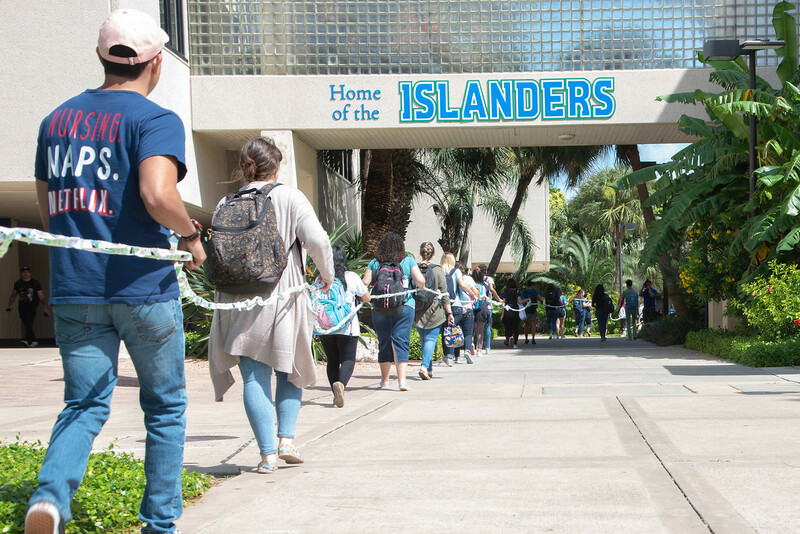 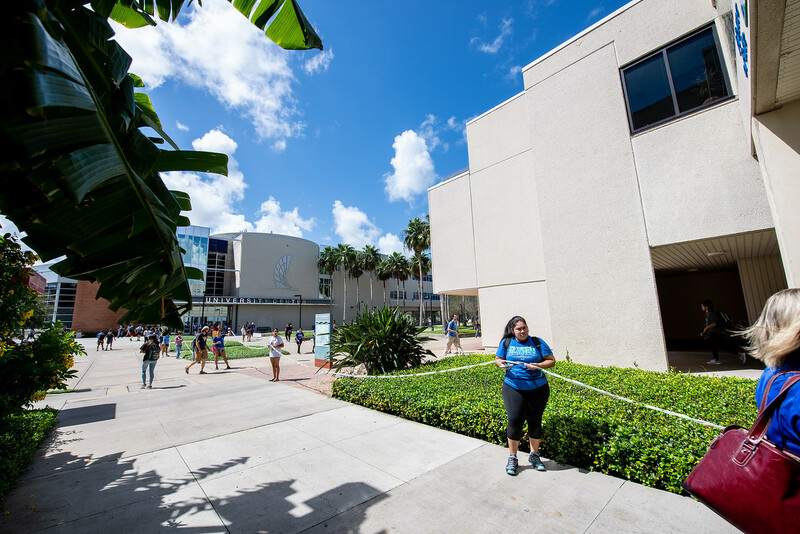 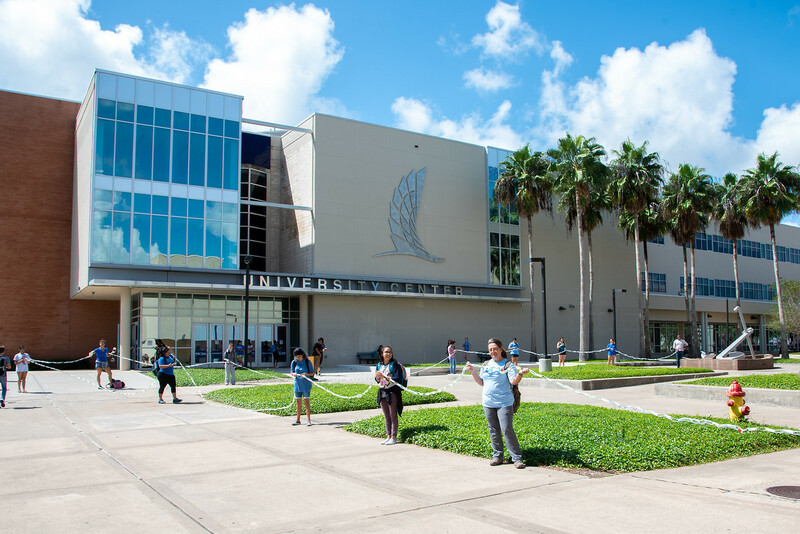 To learn more about the warning signs for suicide, Islander students, faculty, and staff are invited to schedule a training by contacting the Counseling Center at 361.825.2703.